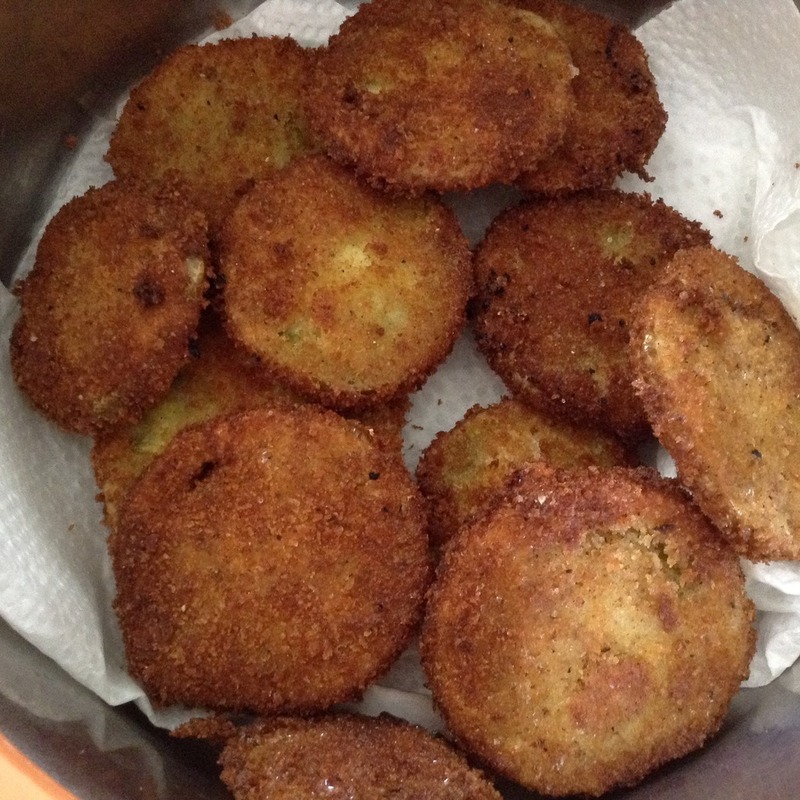 Cooking With Swapna: Fried Green Tomatoes !!! 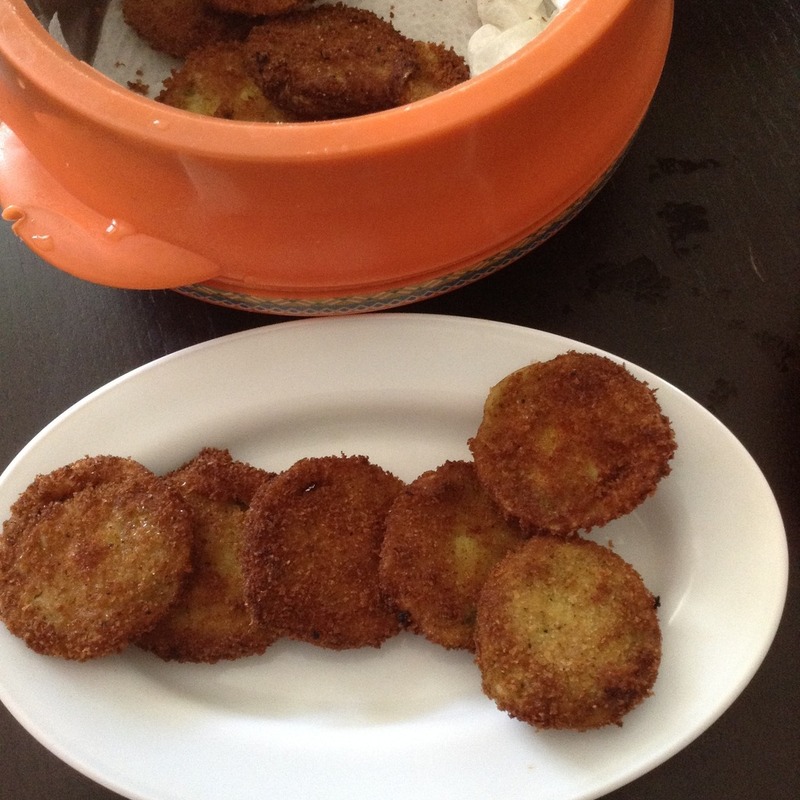 Fried tomatoes are incredibly delicious as they are light and crunchy. 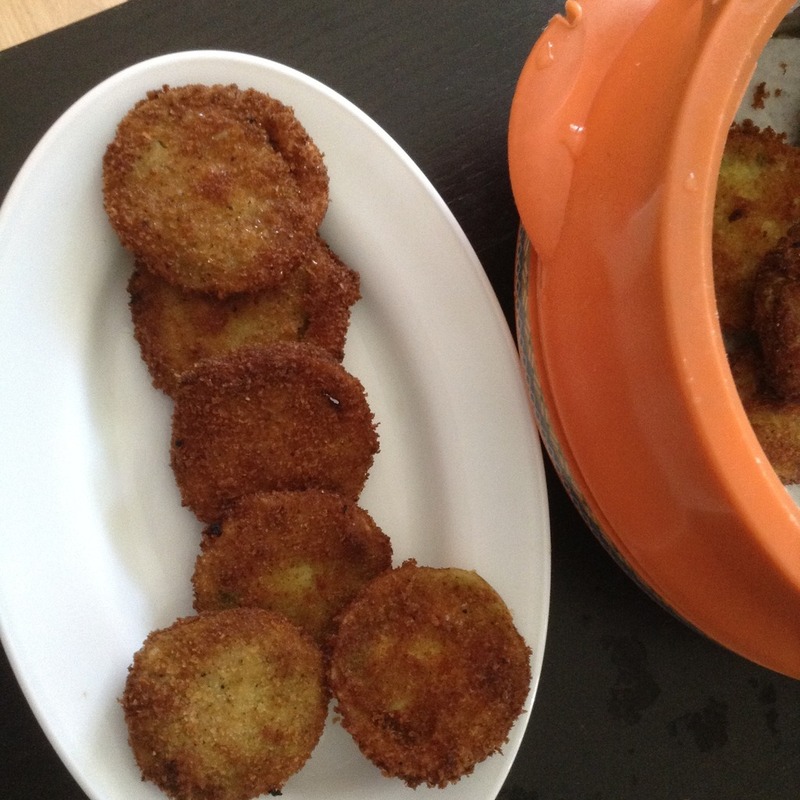 It's much better to give green tomatoes a classic, foolproof triple coating: First we dip them in flour and then in egg mixture and finally in bread crumbs. Very versatile as we can use different kind of seasonings like parmesan cheese, oregano, parsley or onion powder for different flavours. Try this with buttermilk dip or just with mayonnaise. 1. 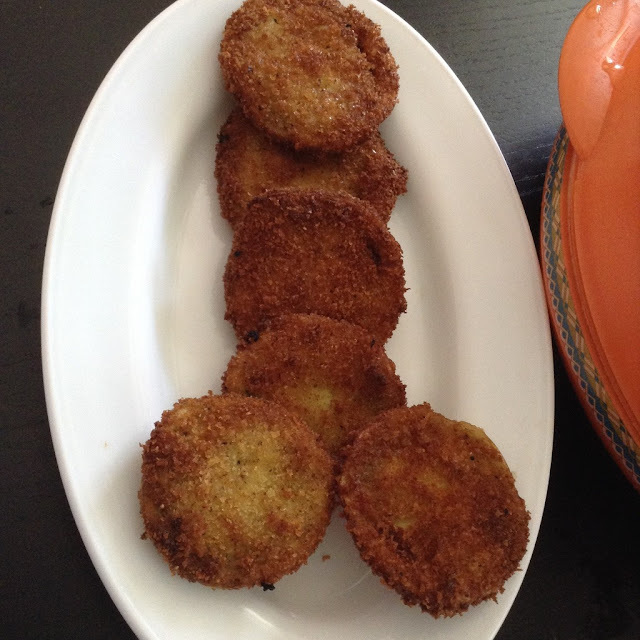 Slice the green tomatoes and season them with salt and pepper. 2. Mix together flour, garlic powder, salt and pepper powder. Coat the sliced tomatoes in flour mixture and set aside for 5 mins. 3. Meanwhile, mix together egg, little salt and milk in one bowl. In another bowl, mix together bread crumbs, chill powder and salt to taste. 4. Dredge tomatoes through the egg mixture and then through the bread crumbs. 5. Heat oil in the frying pan over medium heat and deep fry the tomatoes till done and drain on paper towels. Curry Leaf | Karuvepillai Powder for Rice !!! Karunai Kizhangu Masiyal - Chettinadu Special !!! Fresh Green Peas Sundal !!! Hyderabadi Mirchi ka Salan - Restaurant Style !! !